Yes Physiotherapists do Massage! Why not get it from an expert. 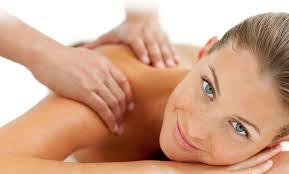 Remedial Massage is a form of massge which is focused treating your condition. Treatment helps by regaining normal muscle and soft tissue flexibility and relaxation to assist recovery from or to help prevent injury. It may involve deep tissue, relaxation, trigger point or myofascial massage. This form of massage works by increasing blood flow to the tissues, assisting with nutrient flow, scar tissue breakdown and encouraging lymphatic drainage of swelling and waste products. The effect of this is improved soft tissue flexibility, muscle desensitisation and thus improved joint mobility. Soft tissue tension affects the normal position of the joints and associated nerve tissue. Therefore it is often involved in movement imbalances, postural dysfunctions and is almost always a contributing factor in musculoskeletal pain. Our Physiotherapist will work through your particular presentation, associated activity levels, work status or sporting goals to ensure all relevant areas are targeted. Remedial Massage is a beneficial adjunct to your rehabilitation program or for day to day work place tension relief.